Pushing your body to its limits is one of the best ways to improve athletic talents, such as running faster, jumping higher, throwing harder and lifting more weight. Without pushing your body to the limit, you wouldn’t be able to make much improvement to your game. Unfortunately, when athletes push themselves too hard, they are susceptible to pain and injury. Whether you’ve been injured in training or competition, you’ll want to begin treatment as soon as possible so you can get back to doing what you love. Often, the first and one of the most important steps in treating an injury is compression. How does compression help in recovery from an injury? Reducing swelling — Swelling is the body’s way of protecting the injury and getting fresh cells to it, but it is frequently counterproductive to the healing process. Compressing the injury helps reduce and prevent swelling. Reducing pain — Swelling also causes more pain to the injury since it puts a lot of pressure on the injured area. Since compressing can reduce swelling, it helps with lessening your pain as well. Improving blood and fluid circulation — When done correctly, compression can help prevent the buildup of lymph fluids, which need to flow properly to transport waste from cells and tissue. It also helps get oxygen and nutrient-rich blood to the injury to fuel the cells and tissue for improved healing. How do you properly compress a sports injury? You should use an elastic athletic compression bandage when compressing an injury. You’ll want to begin wrapping at the area of the injury closest to your heart and wrap in the direction away from your heart. Whether you’re a professional athlete or someone just looking to have some fun on the field, you may need help from a physical therapist if you’ve been injured. 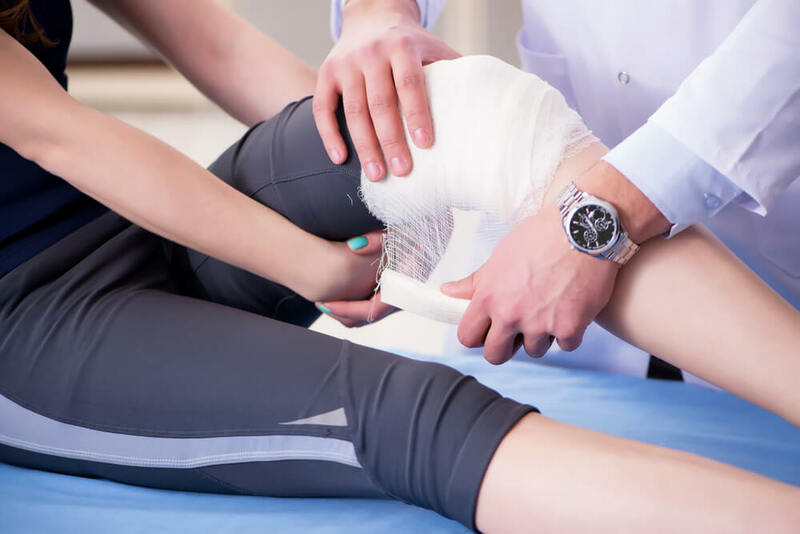 Our physical therapists at Whatcom Physical Therapy specialize in compression and other treatment methods for sports injuries. Contact us today to learn more about back pain treatment or to schedule an initial appointment.